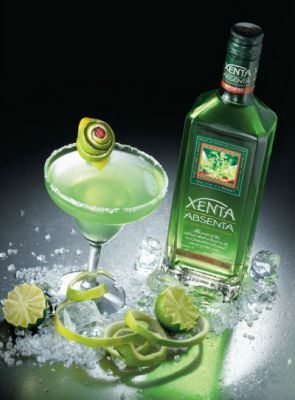 Xenta originated from a blending of natural extracts of Artemisia Absinthium and other selected herbs that give this liqueur a delicious flavour and a unique, delicate aroma. Now produced at the historic Moncalieri distillery, Xenta draws inspiration from the original formula invented in 1792 by Dr. Pierre Ordinaire, a French doctor who emigrated to Switzerland during the French Revolution. In 1870 Riccardo Ferrero, the founder of the distillery, reworked the formula and prepared a liqueur whose secret recipe has been passed down through the generations to the present day. Absinthe became popular in France in the late 19th century thanks to many famous writers and artists such as Verlaine, Baudelaire, Oscar Wilde, Ernest Hemingway, Van Gogh, and Picasso, whose works were inspired by the “Green Fairy”. 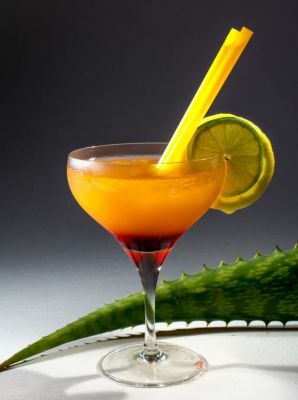 In the early decades of the next century, in the face of widespread alcoholism, many European countries instituted new laws to restrict the consumption of alcoholic beverages. 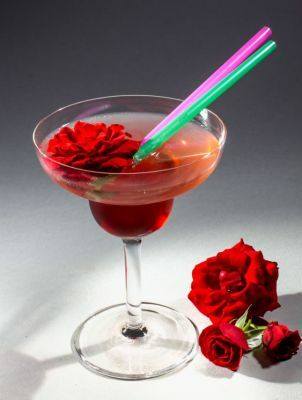 As the most commonly consumed spirit, and its high alcohol content, absinthe came to be banned in Switzerland in 1907, France in 1915 and in Italy and other countries in 1931. This prohibition lasted for more than 60 years, until the European Union relaxed the laws which once again legalised the production and sale of absinthe, imposing a maximum limit of 35 mg of the active ingredient in Artemisia Absinthium in alcoholic beverages. 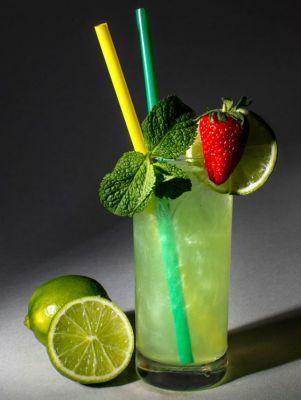 New generations are fascinated by this bohemian liqueur, the inspiration behind the “Green hour” in 19th century Paris; the cocktail hour when the city’s great boulevards were filled with the aroma of absinthe. 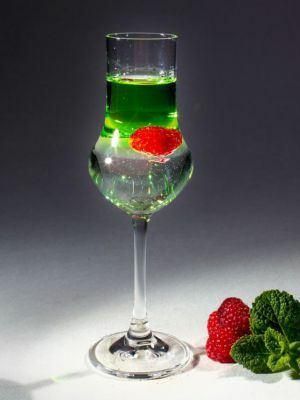 Now absinthe can be found as a staple in all bars and is used in a wide variety of drinks and cocktails. The herbs are left to steep in alcohol, and distilled water is then added to the resultant extract to lower the alcohol content. The whole mixture is then carefully filtered to remove impurities, resulting in the unmistakable green colour of Xenta with its extraordinary, unique clarity. The liqueur is then left to rest before bottling. The alcohol content of 70% ABV, obtained using the best quality alcohol, allows the thujone (the active ingredient in Artemisia Absinthium) to preserve intact all its characteristics, while the precise dosage ensures compliance with the legal limits. 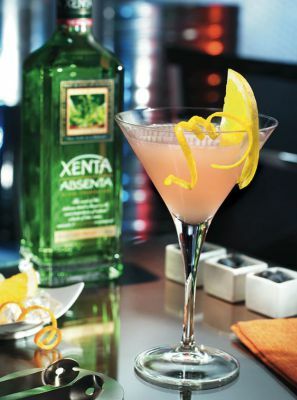 Xenta Absenta is the classic version, created by infusing Artemisia Absinthium leaves, star anise and coriander in alcohol. A delicate aroma of aniseed and mint, with a distinctive warm, welcoming taste. 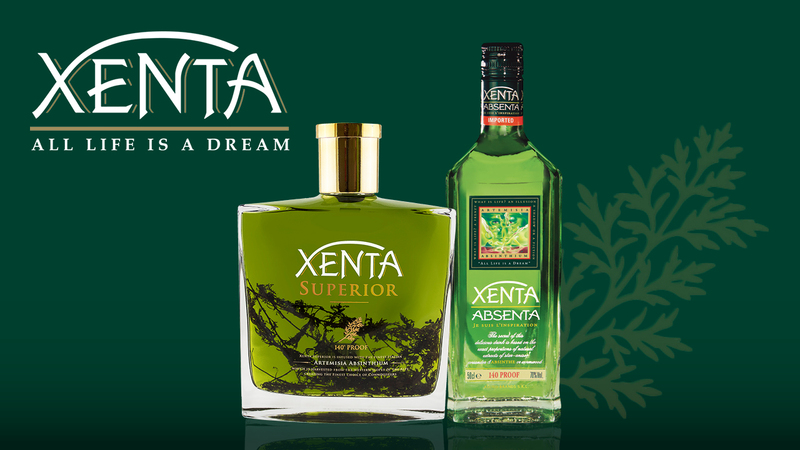 Xenta Superior is a premium version ideal for enthusiasts and connoisseurs of absinthe. Only the best sprigs of Artemisia Absinthium are used by expert distillers. The skillful blending of absinthe natural extracts, and the total absence of other flavourings, enhance the aroma and taste of the Artemisia Absinthium, creating a unique and sophisticated product. Slightly bitter taste and intense, well-balanced aroma, with fresh notes of anise and mint.